Kris wanted his physical appearance to match the powerlifting strength he was building. 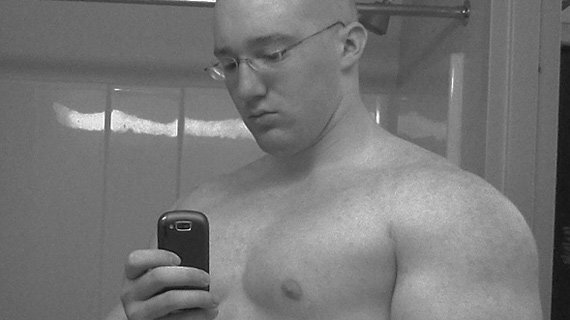 Read on to see what helped Kris gain 120 pounds of muscle! My start in bodybuilding came for several reasons. I wanted to get bigger, I wanted to have something to show for my efforts in the gym, and I wanted to have something that was different than others. First and foremost, I hated being small. I always felt trapped, like I was always the one who everyone looked down on. I was always strong, competing in gymnastics, playing regular sports, then started competing in Olympic weightlifting in middle school. At the age of 13, I weighed in at 91 pounds for an Olympic lifting competition. 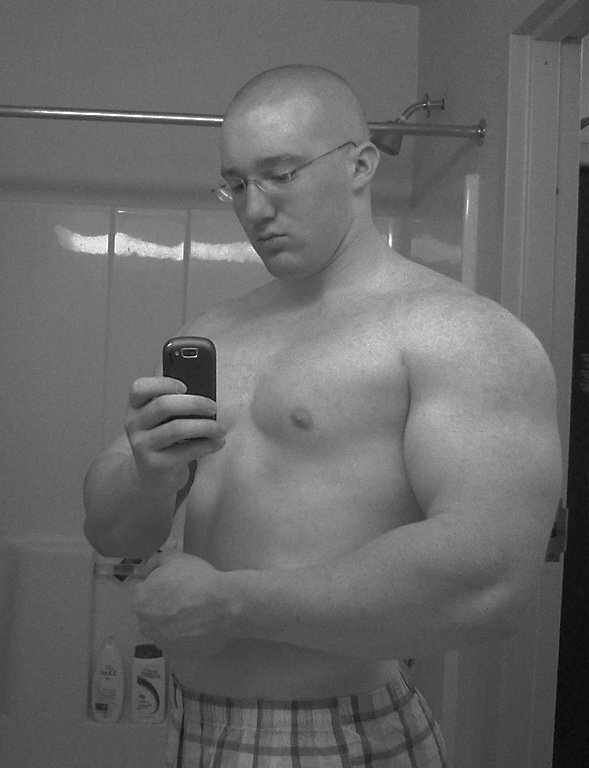 But despite my strength gains, I was still small. Incredibly lean and toned, but small. 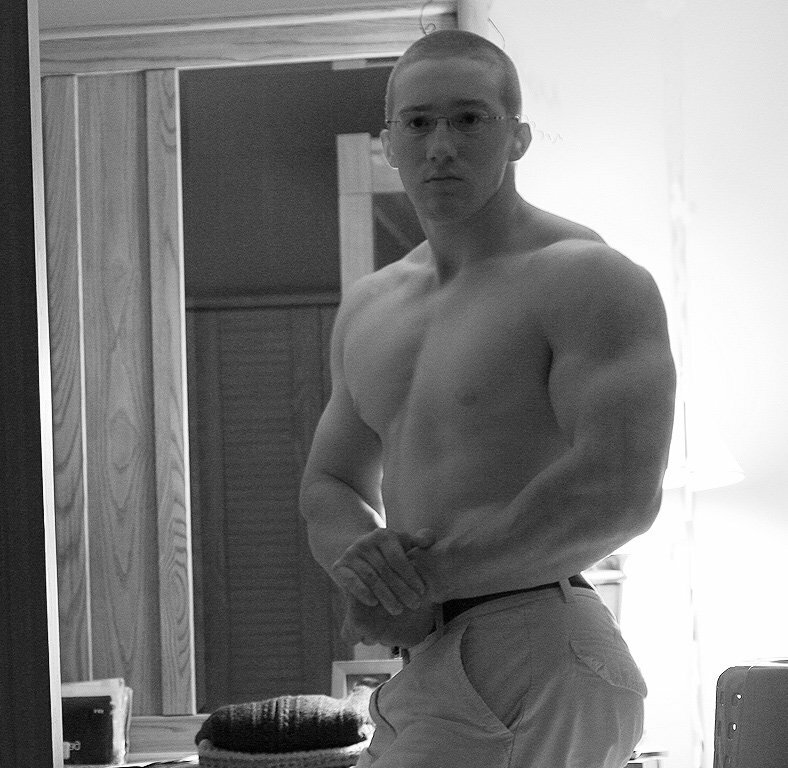 Still to this day I feel small, and it is a strong motivator for me to keep lifting hard. Secondly, I wanted to have some kind of physical results that I could see. As I stated before, I started competing in Olympic weight lifting. I trained when my coach told me to, and progressed very well. I placed 3rd in the 2004 School-Age National Championships. 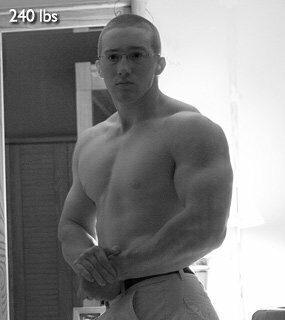 My parents said I was "the secret weapon" because I looked so small, yet I lifted incredible weight for my age. But I did not want to be the secret weapon. I wanted to be seen as strong and built. Not necessarily to be intimidating, but more for my physical appearance and looks. For some reason to me, it just looks weird to me being the "average" size. Finally, I wanted to have something that was different than others. 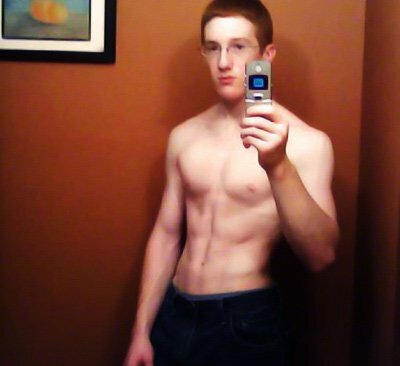 When I started high school, no one ever even mentioned the sport of bodybuilding. You will not find it in most high schools or even colleges. I have always been somewhat different than other kids, just because I know what I like and what I don't like. What got me the idea of starting my own bodybuilding routine was seeing a video of Branch Warren (one of my favorite bodybuilders). Immediately I knew I had found what I was looking for; and I was well on my way to starting my routine. I wanted to be seen as strong and built. After seeing more and more videos of professional bodybuilders, my hunger grew for the sport. 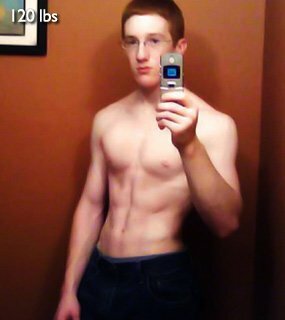 I started researching some example diets and lifting routines. I took into consideration anything that seemed like it may work for me. The biggest factor in determining a routine is time. You will not know instantly how the routine works; it may take 3 weeks or 3 months. Finding out what worked best for me was just trying certain things and identifying my results. 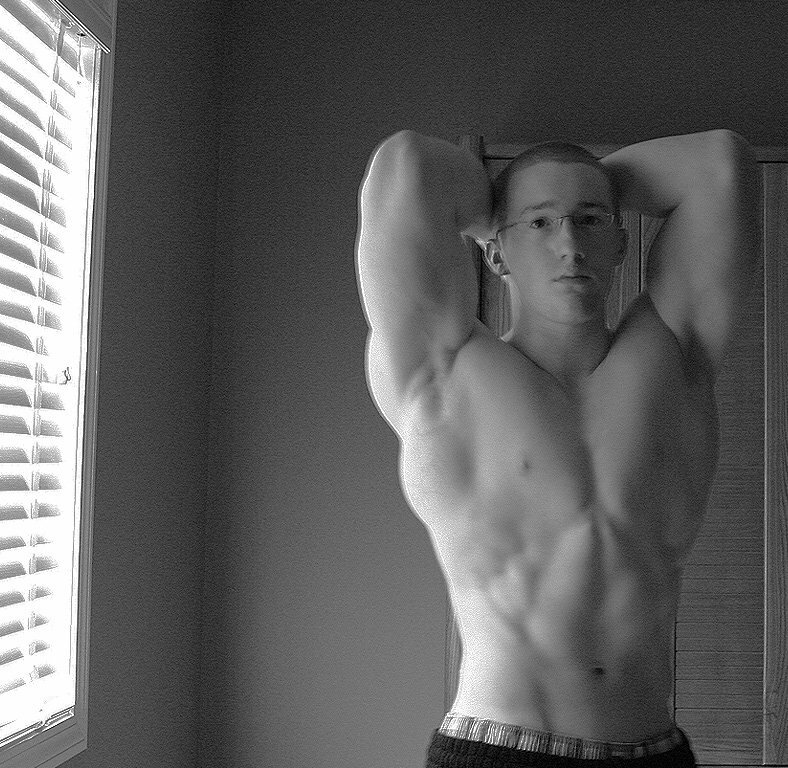 It took about a year to get a solid routine going, however as my body changed, I had to adjust accordingly. I started off incorporating protein shakes throughout the day (Muscle Milk). Then I stopped doing the shakes and started eating more food in general. (Let me just say that putting on weight for a hard-gainer is extremely difficult while still eating clean). I never ate fast food, and drank very little soda. I limited the amount of sugar/dessert I had. Even though I knew it barely affected my weight, I believed that I should stay healthy. My next approach was to incorporate the same amount of food, and once again - add in protein shakes. This time instead of Muscle Milk, I started on Monster Milk (roughly 50g/protein per shake). So while my nutrition was getting figured out, my routine was also. I immediately broke up my lifting into individual body parts each day. My weight amount vs. repetitions varied as I figured out what worked best. All in all, this is an individual sport. I did it completely on my own, all it took was time. certain things and identifying my results. At this time, I do little cardio if not any at all. I realize this may be unhealthy, but it has worked for me in terms of meeting my goals for weight gain so far. When I progress further, I will be adding some light cardio in. The pace at which I go in the gym is moderately fast. Some days I will speed it up. Roughly 30-60 seconds between sets depending on what exercise I am doing. Keep in mind injuries do occur even at young ages. I have injured a disc deadlifting, pulled several muscles, and also ruptured a major thigh muscle squatting (I do not recommend using the Smith machine for squats anymore). Take time in creating your diet plan and do the proper research. It is not enough to find someone else's plan and use it. Find out what the fundamentals are of creating a diet plan. If you can create one yourself, you can more easily find out what works for you. The same goes for workout plans. In my opinion there is no universal workout. Find out what works for you by trying several options. Don't go through the same routine every day; implicate muscle confusion. Change your routines constantly. Also don't be lazy and skip days, part of reaching your goal is the discipline to stick with it even if you are feeling sick (but do not hurt yourself). Changes take time; don't expect them to happen overnight. If you have focus, drive, and discipline, you can expect results.